August 15, 2016, the media reported that new cryptocurrency “Edinar” was launched on the market, which in the first days of trade has crossed the level of $ 1,000 for one coin. Of course I could not pass by such news — after all, investment in the fast-growing cryptocurrency overtake bitcoin could bring in the short term at least 100% literally for 1-3 weeks! What makes it so special? Edinar is not a cryptocurrency! The first thing that was not clear why the announced launch of the coins on August 15, the official website says that the coin is available from November 2015. 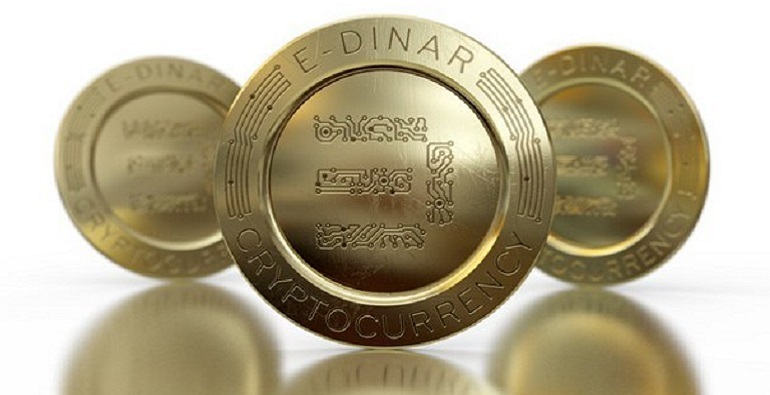 In a more detailed study, it was found that in November, E-Dinar coin was launched ad it was planned to issue 22 million coins and a starting price of $. Despite the fundamentally different principle of emission in comparison with bitcoin, breakthrough in the field of market quotation growth has not happened. Then the creators went a different path and on 15th of August 2016 year launched a new virtual coin E-Dinar Coin! What and happily for promotional purposes reported by the media (including highly respected). One problem: where can I find information about the course of bitcoin? On the official website of the platform confusing. If the new Edina is labeled EDC, on the marking EDRC (EDRCoin) with a rate of 0.1 dollars. USA. Strange, because in the previous the “Coin” was not. In General, the course namudrili from the heart. In exchange, presented on the website, we are talking only about the first edinar with a rate below $ 1! So the whole E-Dinar Coin ads seems a Scam. Yes presented information on the official websites is not true. The cryptocurrency is traded only on one exchange AlcurEX and while the price is a little over $ 100 for 1 coin. But not all is so simple… Try to look into this project further. Economic laws say that any means of payment must be provided. But gold itself is not provided, but can be a means of payment? Well, or equivalent to the exchange, to be exact. So the equivalent may be all that is limited in volume and has a value to society. Bitcoin is a cryptocurrency that is to issue (create) in the specific terms is simply not profitable from the point of view of energy consumption. The income of the investor — exchange rate fluctuations. the project does not provide an independent sale of edinar on the exchange or to engage in mining. Where generating profits is a mystery. If you look at the website, I have to admit that the draft international clients are citizens of India, Europe, North America, that still speaks of the project. there are representative offices in social networks. it is not known when the project is going to be Scam (to stop working). By all indications, the project edinar is not a cryptocurrency, but an ordinary HYIP. (I will explain it in the next article. Summary. Edinar a high — risk HYIP-project, where you can earn good money. How? This is a topic for another article, but I strongly advise beginners not to get involved there. Well, professionals after thoroughly studying the nature of the instrument, method of deposit and withdrawal analysis of prospects for the coins can try their hand. Just remember: all HYIP end with 100% Scam!